For a long time, designing the perfect spiral eluded me. I just couldn't seem to get them right. Sure, I could follow a pattern all-right, but DESIGNING a spiral confused me. I'd get lost on which row I was supposed to be working on and almost always ended up frogging anything that I had managed to do out of sheer frustration. As usual, I like to be a little difficult and wanted a spiral with more than the usual three or four colours. Being the geek that I am, I've searched high and low for information about the anatomy of a crochet spiral- and the mathematics behind it all, but alas, I kept finding complicated equations for Hyperbolic crochet (not very practical for blankets or garments really - with the exception of a few cool ideas bouncing around in this nutty head of mine - and the Fibonacci theory; none of which really makes sense unless you are AWESOME at algebra and geometry and can understand what all of those weird little symbols mean. I searched for patterns, tutorials and numbers and finally came across something that made the anatomy of a spiral "CLICK". Ahhh! So that's it! I eventually found a tutorial from the amazing Elisabeth Wetsch of Nadelspiel , (a German knit and crochet cooperative) of a spiral granny square. which is a really cool take on the 'circle to square' that I had been playing with last week. The video is in Deutsch and my German is VERY rudimentary - I only had one year of lessons when I was in the 7th grade and that was a long time ago now. However, my language skills were good enough for me understand most of the video, for what I couldn't understand I just had to wing it. So I reverted to my mathematics again. No, no, don't run away.... I couldn't understand anything unless the KISS (Keep It Simple Stupid) principle applied to everything - All of the sums you need to do are very basic. If you know your times tables and/or can use a calculator, you'll be just fine. Decide how many colours you want in your spiral. In my case, I wanted 8 colours. My first number is 8. You will need a foundation circle to get you started. You need 3 stitches in your foundation circle for every colour you want to use. Multiply the number of colours by 3. The stitch count of my foundation circle needs to be 24. Make your foundation circle, applying the law of circle to ensure you get off to a good start. Row 3: [INC, SC x 2] x 6 (24 sc) slst to join. Now, you will notice in almost any pattern that calls for a spiral, the first 2 or three stitches are shorter than the rest. This is why I used Single Crochet as my foundation circle. The increase in the height of the stitches gives the spiral the 'lift' it needs to get out of being a plain old circle. Regardless of how many colours you have chosen, using the equation above for your foundation circle, when colours are added, each colour is worked in the same manner. I used 8 colours, so each section in Row 4 is repeated 8 times. This is the foundation circle with the first coloured row (row 4). It STILL applies to the spiral! What had me confused (before it clicked) was the differentiation between the increase for each section and how it just didn't seem to fit. We finished our first coloured row on an INCREASE, and this is our first round that builds upon the spiral, so each section in your following round should start with ONE stitch into the ch 1 sp, then an INCREASE, then One stitch into the next stitch. I'll give you the example again using the 8 colour spiral. See how we are applying the law of circle? inc, 1, inc, 1? See how we are applying the law of circle? inc, 2, inc, 2? Continue in this manner for as long as you like. Remember that your rows are worked on top of one another, so you if you want to check your work, count on a single colour line the spaces between each increase. Your spiral should literally have from the first coloured row to the last (excluding your short stitches), the law of circles applied. You should have 1, inc, 2, inc, 3, inc, 4, inc, 5, inc, etc... all on the one colour. Can you see on the image below? Looking at the while row and counting backwards from the last increase, there are 5 double crochet's before another increase. Keep going backwards, you will see that there will be 4 Double Crochet before the next increase. When you have finished your spiral, as you work the last row, slowly step down using shorter stitches to bring the spiral back to a true circle. For example, if your next row needs 20 stitch in each colour, work 10 stitches in your tallest stitches (DC in the case of the 8 colour spiral), then 5 stitches in the next shortest stitch (HDC) then the last 5 stitch in SC, slst to join. HINT: The only real problem you might incur when working in a spiral, is the entangled trap you set for yourself as you spin your work around! The yarn works itself around each other and can in some cases get so bad that you'll need to cut and rejoin your yarn if you aren't careful. To avoid at least some of the tangles I've used 2 gift boxes with holes punched in the sides to try and keep the yarn tidy. I have four colours in each box, in order of their placement in the WIP. By keeping half of the yarn in one box, and the other half in another, and sitting with one box either side of my body as I work, the tangles are reduced (I said REDUCED - not eliminated altogether) and there wont be quite as many tantrums on your part. Don't forget I love to see your work, so if this information has been useful and you have created something special, why not share your work on my Facebook page (there is a link at the top right of this page)? I saw this on Ravelry this morning and it was definitely a wow moment. One of the things that keeps me from designing is the math thing. Math is very seriously not my thing, but it seems there's hope as I do know my rudimentary math and I can use a calculator LOL. I won't be trying this tomorrow, but I am definitely going to have to tackle this spiral. Thank you for figuring this out. It's really beautiful and very, very cool. That's great!! I've never done a spiral at all, so now I want to try one. Maybe 1-2 colors?? Haha :) Thanks for explaining, I love when ppl do that as opposed to just stating the pattern. It makes us all better creators! :) That is what I was aiming for! I believe that everyone can design! beautiful......this is so cool!!!!! Thank you for sharing!!! This is so cool! I found it today on Pinterest. I've been crocheting for many years, but I'm not sure if I could do this!! Aha! Just what I was looking for! Hope to play later! You should get an award for all your hard work in figuring this out and THEN posting as a free tutorial. Bravo! and thank you. This is fabulous!!!!! Thank you so much for sharing. I love to design my own patterns but the math is NOT my strong suit so the things that really require the numbers, I have to depend on the kindness of others to help with. This is so beautiful! You are most welcome Jennifer! 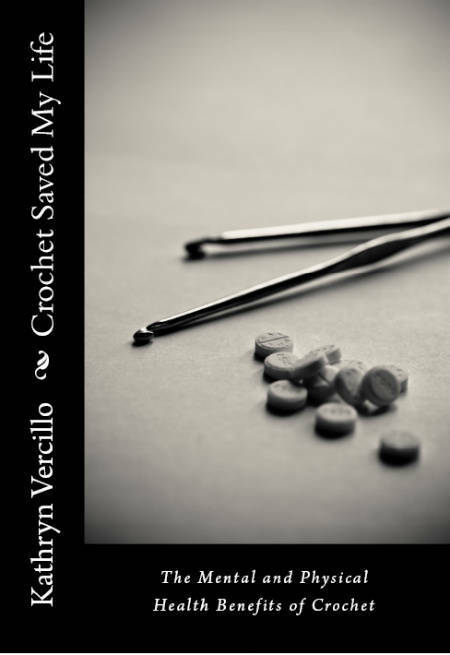 I have been working on crochet math for some time (still figuring it out) and am SLOWLY working on a book of the same nature. This is such a beautiful blanket! Thank you for sharing your pattern and thought process! I was just wondering, approximately how much of each color yarn did you use and how large is the finished blanket? Also, any ideas on how to square off the blanket? I crochet well enough to follow a pattern but not well enough to figure out the squaring off myself! Thanks again! I didn't complete a huge blanket, so it will all depend on how large you choose to make it. As for squaring off a large circle... its all about the math. Take a peek at my post "Accommodating Curves". This gives you the formula to figure it out. With very large squares, as in the case of a blanket, you may need to repeat the squaring process for 2 or three rows before it becomes the correct shape (making sure you make the appropriate increases in the corners). I hope this helps a little. i have found a way to eliminate all,yes all,tangles.....i work with my blanket on my legs..i have an elastic band on each of my balls of yarn/wool..i place 4 balls of wool/yarn on either side of my legs...when i come to the colour i need take the elastic band of the ball of yarn/wool,work the number of stitches and put the elastic band back on the ball of wool/yarn...turn the work anti clockwiseand move the all the balls one step anticlockwise....and move on to next colour....it does sound like alot of bother but i havent got tangled once ...hope this makes sense..
Wow! I bow down to you! Having done 4 colours, I can only imagine the pain 8 would cause! This is gorgeous! What brand/colors of yarn did you use? Thanks for the free pattern! Hi, just want to let you know that I featured this post on my Facebook page. Thanks for this lovely pattern. I used it for a mandala weel for Yarndale ( See Attic24 blog) , it was not hard to do thanks to your tutorial! Thank you; this is written so clearly. You have simplified a complicated idea! Well that just made total and complete sense! Spirals don't seem so scary now and I think I might be brave enough to try it! Thank you!